Shukri was voted-in as the new Governor of the Central Bank of Libya by the HoR today (Photo: Archives). Mohamed Shukri has been sworn in as the new Governor of the Central Bank (CBL) by the Tobruk-based House of Representatives (HoR). He pledged to end the on-going liquidity crisis and to unite the divided CBL. In a speech at the HoR, Shukri criticised the financial black-market and said it was a system that prayed on the weak and was entrenched in corruption. Furthermore, Shukri cited the National Oil Corporation as an example of how success could come if the CBL was combined with its Tripoli and Presidency Council-backed counterpart. He also expressed his hope that the long queues seen at banks, as customers desperately tried to withdraw seemingly non-existent hard currency, would be reduced. 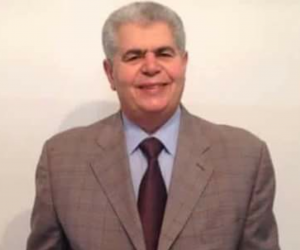 However, the swearing-in of Shukri is likely to be rejected in Tripoli and it remains to be seen whether Sadek El-Kabir, the CBL governor in the capital, will even consider handing over. Already State Council president Abdulrahman Sewehli has condemned the decision, saying the appointment was made not in keeping with the Libyan Political Agreement. He described Shukri’s ascension as “invalid” and called on the HoR not to take unilateral decisions. It will be recalled that Article 15 of the Libyan Political Agreement, agreed to by both the HoR and State Council, states that the HoR must consult with the State Council when appointing any top positions, including the Governor of the CBL. Sources had said the State Council and HoR, along with UNSMIL, could come to an agreement over the appointment of Shukri. UNSMIL had criticised the way Shukri had been appointed. In the December vote, Shukri received 54 of the 107 votes. His predecessor for the Beida-based role, Ali Hebri, was humiliated as only three members showed their support for him. Article 15 states HoR must consult with State Council when appointing the governor of the CBL. Shukri is a former director of the Jumhouria Bank. With over 30 years of banking experience, he was also previously a Deputy Vice Governor of the CBL.